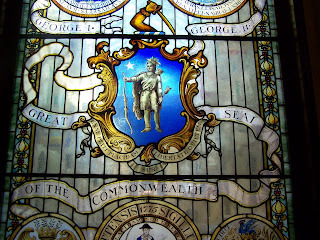 May we all find ways to work together in the year ahead to make our Commonwealth a better place to live and work. The recently released report from the Department of Revenue detailing mid-December tax collections indicates some improvement over last year. While this is positive, serious budgetary problems persist for our Commonwealth. Please click here to read the report. In October, Governor Patrick dealt a serious blow to our regional schools by taking unilateral action under Massachusetts General Laws Chapter 29, Section 9c to cut regional school transportation funding. The tremendously adverse impacts of this action compelled me to join with 61 of my colleagues to request that the Governor reverse this action, which came without legislative authorization. More recently, I met with stakeholders from the Triton Regional School District last Monday to evaluate the situation and strategize regarding further actions to continue efforts to change the regional school transportation funding situation. The meeting brought together a strong coalition of selectmen, parents, school committee members and others committed to this issue. The Governor had slashed this account by nearly 50% from $40.5 million to $22.5 million. For more on the subject of regional school transportation funding, please read today’s article by Katie Curley Katzman of The Newburyport Daily News. Fortunately, Governor Patrick announced this morning that he intends to reverse the cut to regional school transportation funding, and has directed members of his administration to identify a means to do so. This is a positive development, although the problem is not yet solved. I remain committed to bringing this issue to a positive conclusion, and want to express my deep gratitude to all those who have been involved with my office in confronting this cut. While there is work still to be done on this front, we have proven that by working together, we can shape the course of state government in positive ways. On Monday I convened a meeting at Rowley Town Hall to discuss issues relating to educational funding for the Triton Regional School District and others, the status of our state’s financial condition, education reform and economic development. A major concern shared by all in attendance was the extremely adverse impact of Ch.29, S.9C cuts to regional school transportation aid enacted by Governor Patrick. The meeting was well attended, and participants included members of the Rowley and Newbury boards of Selectmen, the Triton Regional School Committee, and a substantial number of interested citizens. We had a productive dialogue and exchange of ideas which I believe will lead to some action steps in the near future. Thanks to everyone who participated, I look forward to continuing to work with you to promote the prosperity of our state and the fair, adequate and sustainable funding of education. Through the generous invitation of Captain Timothy Cooper and the crew of U.S.S. Constitution, I was able to attend the Christmas tree lighting ceremony aboard “Old Ironsides” on the 6th of December. The lighting and display of a Christmas tree aboard the ship is one of many traditions carried on by the dedicated crew of a ship which is one of the revered symbols of our nation’s resolve to defend the ideals of freedom and liberty for all. 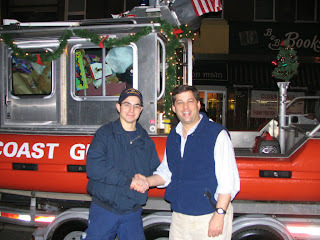 Below I am pictured with BMC Robert Breaker, a Rowley resident attached to the United States Coast Guard’s Sector Boston. Also pictured with me, in the second photo, is Lt. James J. Murphy of the Marine Guard. Lt. Murphy, having served with distinction in the United State Marine Corps, now ensured the safety of the Captain and crew of U.S.S. Constitution. The project to reconstruct and rehabilitate the A. Piatt Andrew Bridge, which carries Route 128 over the Annisquam River, is making tremendous progress. Please click "Read more" to view the most recent update from the Massachusetts Highway Department. 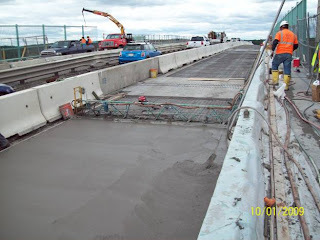 Photo showing demolition and preparation for the new concrete bridge deck at the median. Description The work involves the removal and replacement of the wearing surface of the bridge deck along with rehabilitation of the superstructure and portions of the substructure on Bridge No. G-05-017 carrying Route 128 over the Annisquam River in Gloucester. The project will also include replacement of the sidewalks along with significant structural repairs and painting portions of the superstructure. A new wearing surface will be placed on the bridge along with a new median barrier. The existing bridge railing will be refurbished and a suicide deterrent safety screen will be erected along the sidewalk. SPS New England, Inc. is completing the work. Current Project Status – The project is currently working under Stage III of the traffic management plan which has temporary concrete barrier installed along the skip lines for both the northbound and southbound lanes reducing traffic to one lane (outside lane) in each direction. This traffic setup will be in place during the fall and winter months and will allow the Contractor to demolish and replace the bridge deck and guard rail at the center median. Concrete deck repairs and a new concrete overlay will also be done to the inside (high speed) lanes. The Contractor has completed most of the masonry repairs/rehabilitation below the bridge. Structural steel repairs continue. The placement of the concrete overlay in the right travel lane in each direction has been completed. The Contractor continues to sand blast and paint the structural steel on the underside of the bridge. The Contractor continues to work Saturdays and Sundays, as needed, as well as extended hours during the week to remain within the approved schedule of operations. Once again, North Shore 104.9 and I will hit the road collecting toys for children on the North Shore and broadcasting live all day. This year’s Holiday Toy Drive will take place on Thursday, December 10th from 6:30am to 6:00pm from eight locations on the North Shore. The live broadcast will feature local entertainment, school choirs and bands, great food, interviews with local officials and even Santa Claus will be on the road helping the cause. Eastern Insurance and Safety Insurance have partnered with North Shore 104.9 to present the 14th annual North Shore Holiday Toy Drive broadcast. North Shore 104.9 is proud to announce that Eastern Insurance will be presenting a cash donation at each broadcast location to go to the charity of choice. This year’s Toy Drive is another great opportunity for the North Shore’s holiday spirit and generosity to shine as we all come together to bring happiness to children at a time when every child deserves to know that we care about them. 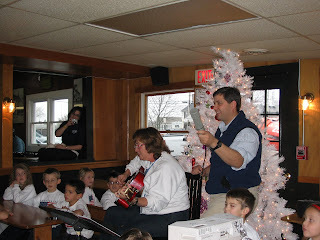 This toy drive will be my 14th since being elected into the Senate in 1994. 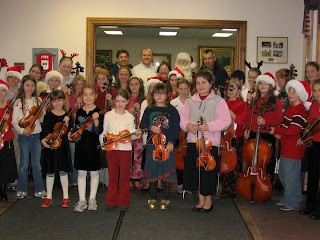 The broadcast will begin at the Capitol Diner in Lynn at 6:30am on December 10th and will end at the Cape Ann Savings Bank at 109 Main Street in Gloucester with refreshments and performances by school choirs and local musicians. The North Shore Holiday Toy Drive is looking for new, unwrapped toys or monetary donations. For further information, please call either Troy Wall in my office at 617-722-1600 or Patrick Belmonte at North Shore 104.9 at 978-927-1049 extension 13. In these trying times of economic challenge, ongoing threats of terrorism and the responsibilities of being a nation at war, may we all take the opportunity on Thanksgiving to take stock of the blessings of family, friends and neighbors and those who bravely serve in our military so that we can continue to live in the freedom of the greatest nation in the world. Over the Past several months I’ve had the honor of working with North Reading Fire Chief Richard Harris and others throughout the region to build a new resource for our local fire departments – a Tactical Rescue Team. This team, which is staffed by firefighters from many area departments, will be available to respond when needed for rescue operations involving conditions such as structural collapse or instability, confined spaces or trenches. Recently the team, which has been training intensively for months, convened at the Shriner’s Auditorium in Wilmington in preparation for operational readiness and availability beginning in January. Below is a photo of the entire team and one in which I am pictured with Chief Harris and Training Coordinator Rick Nelson. We’re working with Inspector General Gregory Sullivan to fully investigate all of the inappropriate acts that appear to have taken place with regard to the approval and rejection of the charter schools in our Commonwealth throughout the last round of such actions. Recently the Boston Globe reported on our request for action and the Inspector General’s timely and effective response. Please copy and paste the below link into your URL bar to read the story. Governor Patrick, State Senate Assistant Minority Leader Bruce Tarr (R-Gloucester) and Representative Ann-Margaret Ferrante (D-Gloucester) have come to the aid of the Gloucester Fire Department by releasing $388,125 from federal stimulus funds to prevent the city from having to make serious budget cuts that would impact the safety of Gloucester’s citizens. The funds will also be used to support additional shift staffing needs. Today’s announcement marks the second round to fire departments from the American Recovery and Reinvestment Act (ARRA). Firefighter’s grants are funded through stimulus funds the administration set aside specifically to help fire departments address staffing reductions caused by the current recession. The $388,125 comes from the $11.6 million that the administration set aside to fire departments across the Commonwealth. The federal Recovery Act does make $210 million available nationally for fire departments to compete for grants to support the renovation and construction of local fire stations. “These much needed state funds will provide the necessary resources to retain firefighters while protecting the safety of our community and assisting the City of Gloucester in these difficult economic times” commented Representative Ann-Margaret Ferrante. 87 fire departments submitted applications to the Executive Office of Public Safety and Security (EOPSS) for the two staffing grant programs. EOPSS used formulas based on budgets, staffing issues and public safety concerns to determine which departments received grants. 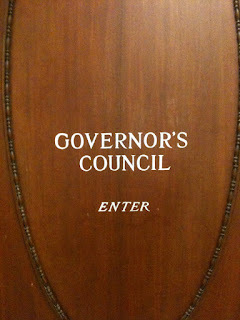 For a full list of award recipients, please visit www.mass.gov/eopss. “We are so appreciative of our state delegation for coming through with the resources we need to get through these difficult fiscal times that have so adversely impacted city services including public safety,” said Fire Chief Philip Dench. Today the Senate considered S.2210, which makes major changes to our state’s criminal justice system in the areas of sentencing for those who commit drug-related crimes and the reporting system for criminal histories known as CORI, or Criminal Offender Record Information. There is significant consensus that some changes to the CORI System are warranted, but many of the bill’s impacts on small businesses remain in question. Worse, the sentencing components of the bill, upon which there is no consensus, would allow drug crime offenders to be eligible for release from incarceration without requiring them to be subject to monitoring through systems such as the electronic bracelet or GPS tracking. The bill before the Senate combined these two issues, and parliamentary procedures blocked many amendments that were offered to strengthen the criminal justice system from even being considered. I offered an amendment to separate these distinct components of the bill (CORI changes and sentencing changes) so that members could vote on each of them independently. Despite bipartisan support, the amendment failed by a vote of 10-27. You can view the actual vote by clicking “Read more” below. The bill itself was identified by the Massachusetts District Attorneys Association as “a threat to public safety” in a letter sent to every Senator which you can view below. Given the problems identified by all of our state’s district attorneys, I argued in floor debate that it should be rejected in its present form, and such major and potentially dangerous changes should be reviewed with adequate time for their consequences to be fully understood. Once again, legislators from both parties opposed the passage of the final bill, but it was approved on a vote of 26 to 12. That vote can be viewed by clicking the “Read more” below. Yesterday the Senate debated and passed S. 2205, “An Act Relative to Education Reform.” During the debate I offered an amendment to require education about the United States Flag in our schools. Following substantial discussion, the amendment, which was expanded to include curriculum about engagement in the political process, was adopted by a unanimous voice vote. Please click on “Read More” below to view the text of the amendment, which is now part of the bill that moves to the House. Special thanks to Senators Tisei, Hedlund and Brewer for their assistance with this effort. 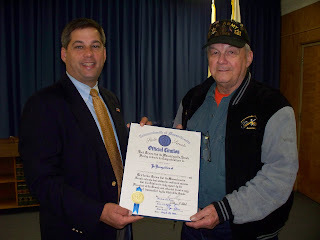 Recently I had the honor of welcoming Windsor Place to Wilmington with a Senate Citation. This family-owned assisted living facility represents a tremendous investment in the local economy, and a resource for those who wish to live independently in a warm and supportive setting. Windsor Place has 87 units, has created 55 new jobs and expects that number to reach 70 when all of the units are leased. Congratulations and thank you to Windsor Place for investing in the community, and creating employment opportunities. When an invitation was extended to Raymond Levasseur a convicted terrorist, to speak to students at the University of Massachusetts at Amherst, action needed to be taken. While the Governor insisted nothing could be done to prevent this from happening, Senate Republicans rose to the challenge. 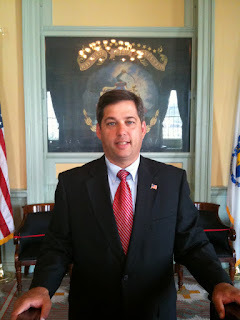 I was pleased to co-sponsor and assist in the drafting of a resolution initiated by Senator Robert Hedlund ( R-Weymouth) condemning the potential appearance by a man whose organization was responsible for the murder of a New Jersey State Trooper, the shooting of two Massachusetts State Troopers, and the bombing of the Suffolk County Courthouse in 1976. Senate Republicans were joined in this effort by our colleagues across the aisle, many of whom co-sponsored the resolution as well. When a final vote was taken, all but one member of the Senate voted in favor of the resolution, which passed overwhelmingly. Subsequently Levasseur’s parole office prohibited him from coming to Massachusetts, and the appearance, which was as to occur today, was canceled. Clearly this was an important victory, protecting our state’s flagship institution of higher learning from the talent of an unrepentant architect of domestic terror. I’ll be returning to the Fox 25 Morning News segment known as “Tolman and Gray” this Thursday, November 12th at approximately 7:15a.m. Please tune in for a lively discussion of the issues of the day between former State Senator Warren Tolman, now of the law firm Holland and Knight, and me. Recently I’ve been working with the Massachusetts School Building Authority and its outstanding Executive Director, Katherine Craven, to advance the progress of several school building projects in our region. They include a new elementary school in Gloucester, rehabilitated high and middle schools in North Reading, and a new or reconstructed elementary school in Georgetown. 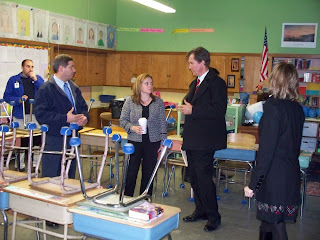 Below are some photos from a recent visit by Executive Director Craven to the West Parish School in Gloucester. A related story from the Gloucester Daily Times is below the photos. A great tradition in Groveland is the annual Fall Harvest Dinner, which is sponsored by the Groveland Police Department with the assistance of the Council on Aging and the tremendous food service staff of the Pentucket Middle School. The dinner is a chance for the town’s seniors to spend some time sharing thoughts, great food and outstanding music provided by George Berube. Most of all, it reminds us all of the importance of community spirit. Thanks to Chief Kirmelewicz and Sgt. Dwight McDonald and all who make this dinner such a special occasion, and for allowing me to be a part of it. 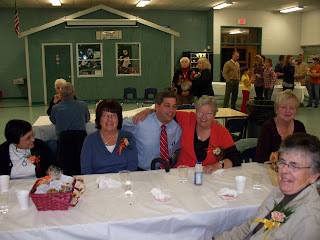 Joining me at the dinner were selectmen Betty Gorski and Don Greaney. 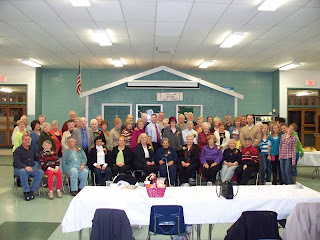 Below are two photos from the event, including a group portrait. Please tune in to WBUR, 90.9 FM tonight for my preliminary analysis of Governor Patrick’s budget reduction proposal for Fiscal Year 2009. Today Governor Patrick released his anticipated proposal to reduce state expenditures in order to maintain a balanced budget for FY’09. Importantly, this plan does not reduce the major local aid accounts, although others such as regional school transportation would be reduced according to these provisions. Also significant is the fact that some elements of the plan would require legislative authorization to be implemented. Please click on "Read more" to read the Governor's summary. WORCESTER – October 29, 2009 – Providing leadership based on values, Governor Deval Patrick today appeared before a gathering of business leaders in Worcester to unveil his plan to close a $600 million mid-year budget gap. The Governor announced that he made tough decisions in order to fully protect Local Aid for communities and Chapter 70 education aid for children, preserve vital human service programs, and limit impacts on public safety. 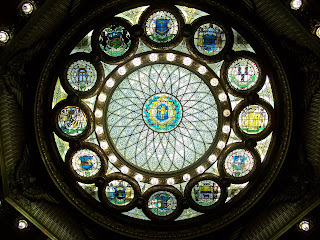 The Governor today also vetoed $24.5 million included in a final Fiscal Year 2009 supplemental budget, spending he said is unaffordable given the current economic challenges facing the Commonwealth. Like many states suffering the impact of the current global economic downturn, Massachusetts has experienced a dramatic decline in revenues over the past year, leading to a cumulative budget gap of more than $8 billion over Fiscal Years 2009 and 2010. The Patrick-Murray Administration has aggressively managed the recession’s impact on the Commonwealth, revising revenue estimates four times in the last year, and using a multi-pronged approach to successfully balance the budget. The plan the Governor filed today is a similarly responsible, balanced approach that includes $352 million in cuts across state government, limited additional revenues, a modest amount of federal recovery funds and a $60 million FY09 surplus resulting from the Governor’s aggressive budget management and personnel controls. • $4.037 billion for Chapter 70 Education Aid. The Governor has maintained his commitment to education by protecting his record-level investment in Chapter 70 during each round of budget reductions. • $10 million for Department of Mental Health Club Houses to serve the mentally ill. The Governor is using his statutory authority to make $277 million in cuts across Executive Branch agencies. Additionally, he is seeking expanded 9C authority to make $75 million in cuts to non-executive branch agencies including the Legislature, Constitutional officers, the Judiciary, Sheriffs and District Attorneys. He asked the Legislature today to act swiftly to grant him this authority in order to achieve immediate savings and ensure shared responsibility throughout all of state government. 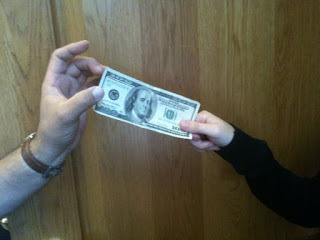 A full list of reductions can be viewed at www.mass.gov/bb/gaa/fy2010/. The Governor has directed agencies to prepare plans for additional personnel reductions to achieve an additional $35 million in savings. The Governor asked unions to agree to contract revisions to reduce the number of layoffs required. Without union compromises, the Governor will direct agencies to begin implementing their layoff plans once approved. In total, the Governor expects a personnel reduction of up to 2,000 positions over FY10. The Governor is also requiring the approximately 4,000 managers within the executive branch to take up to nine furlough days through the remainder of the fiscal year in order to achieve additional savings. State employees have contributed significantly to solving the budget deficit. To date, the Governor has eliminated 1,680 positions over FY09 and FY10, and in FY09 required executive branch managers to take up to 5 days of furlough. Additionally, the Governor and the Legislature agreed in FY10 to increase employee health care contributions, saving the Commonwealth $50 million. Included in the Governor’s plan to close the budget gap is a proposal to offer a tax amnesty program, estimated to generate $20 million. The Commissioner of Revenue will promptly develop and administer the program. The Governor’s plan also includes $82 million in anticipated departmental revenues. Additionally, the Governor is including $24 million from the proceeds of the development of surplus land and a surplus in the Smart Growth Housing Trust Fund. As a result of the Governor’s tight fiscal management and the personnel controls he imposed in FY09, the Commonwealth ended the year with a modest surplus of $60 million. 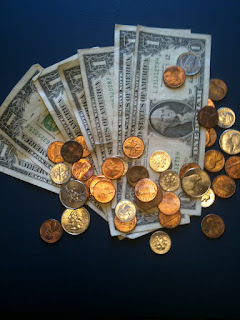 The Governor’s applying the surplus to avoid making deeper cuts to core services and programs. The Governor has protected the Commonwealth’s Rainy Day Fund, not drawing on the current balance to help close the current gap. Additionally, to avoid reductions to higher education, the Governor is using $62 million in available American Recovery and Reinvestment Funds. In addition to proposing solutions for immediately closing the budget gap, the Governor filed several proposals that will improve the efficiency of state government and give agencies the ability to better manage their budgets. In the last year, the Patrick-Murray Administration has achieved significant reforms that will improve the way services are delivered and taxpayer dollars are managed including an historic consolidation of transportation agencies, pension reform and strict new ethics laws. He has also consolidated Information Technology services, making government more efficient and secure. • Reducing by $5 million the so-called Quinn Bill program. The Governor has simultaneously filed a proposal that establishes a commission to identify a new method for supporting educational advancement of law enforcement officers. Additionally, he has asked agencies to submit to him by December 15th new consolidation proposals such as combining human resource functions and consolidating economic development agencies to consider as he prepares for Fiscal Year 2011. In addition to tools for managing the state budget, the Governor is also calling on the Legislature to promptly pass the Municipal Partnership Act II, which contains tools that will save municipalities millions of dollars through changes including health insurance reforms. 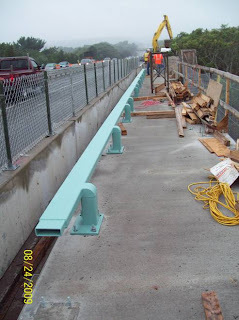 We are pleased to provide you with the most recent update on the reconstruction project for the Route 128 A. Piatt Andrew Bridge over the Annisquam River. Fall foliage and cooling temperatures signal the transition to a fall construction schedule, which will involve lane closures and changes in traffic patterns. Those project elements are discussed in the update, which is attached for your review. Project progress is also quite visible, with some new elements now in place. These are also outlined in the update from MassHighway. To read MassHighway's progress update please click "Read more" at the bottom of this post. Thank you for your continuing interest in this project, and please do not hesitate to contact us if we may be of any further assistance. Photo showing the installation of the cement concrete overlay in the right travel lane on Route 128 Southbound. 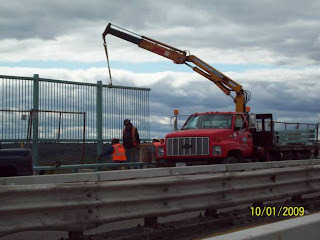 Photo showing installation of the suicide deterrent/safety fencing on the easterly side of the bridge. The design of the fencing was coordinated with the local historical commission. Current Project Status – The project is currently working under Stage II of the traffic management plan which has temporary concrete barrier installed along the right hand side of the northbound and southbound high speed lanes reducing traffic to one lane (inside lane) in each direction. This traffic setup will be in place during the fall months and will allow the Contractor to finish the new sidewalks, bridge rails and fence as well as place the new concrete deck in the slow lanes. The Contractor has completed most of the masonry repairs/rehabilitation below the bridge. Structural steel repairs continue. The placement of the concrete overlay in the right travel lane in each direction is underway. The Contractor is continuing with the cleaning the structural steel below the deck in preparation for new paint. The Contractor continues to work Saturdays and Sundays, as needed, as well as extended hours during the week to remain within the approved schedule of operations. 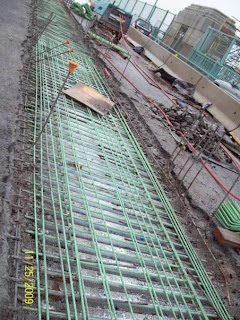 Note: Additional project information and history can be found by visiting MassHighway’s website at: http://www.mhd.state.ma.us/ and clicking on the Project Info tab and selecting Projects under Design and Construction for the City of Gloucester, Project No. 604797. Please tune in today to WBZ-TV Channel 4 for an interview about my legislative proposal to include education about the flag in the curriculum for Massachusetts High Schools. 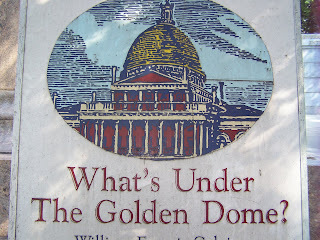 Also, an interview on this bill with WBZ Radio, AM 1030, will air tomorrow morning. When I was approached by Wilmington American Legion member Joe Steen about the need to ensure that students were educated about the American flag, it was clear that he was making an important point: students in our high schools should understand why our flag is significant and how it should be treated. 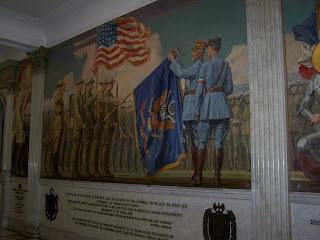 The result of our conversation is Senate Bill 282, “An Act to Establish a Program of Instruction of the Flag of the United States.” This bill amends the section of the Massachusetts General Laws that requires students to be educated about the Constitution, the Declaration of Independence and other subjects necessary to engaged and responsible citizenship. S. 282 simply adds the proper treatment of the flag to the list of subjects already in the law. Fortunately, federal law provides clear guidance on the respectful treatment of the flag at 36 U.S.C. 170-177, and this guidance would form the basis of the curriculum required by S. 282. 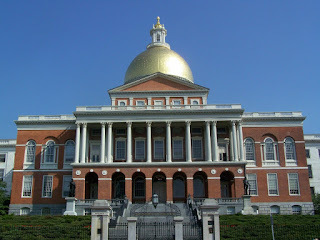 To view the text of S. 282 please click this link: http://www.mass.gov/legis/bills/senate/186/st00pdf/st00282.pdf. 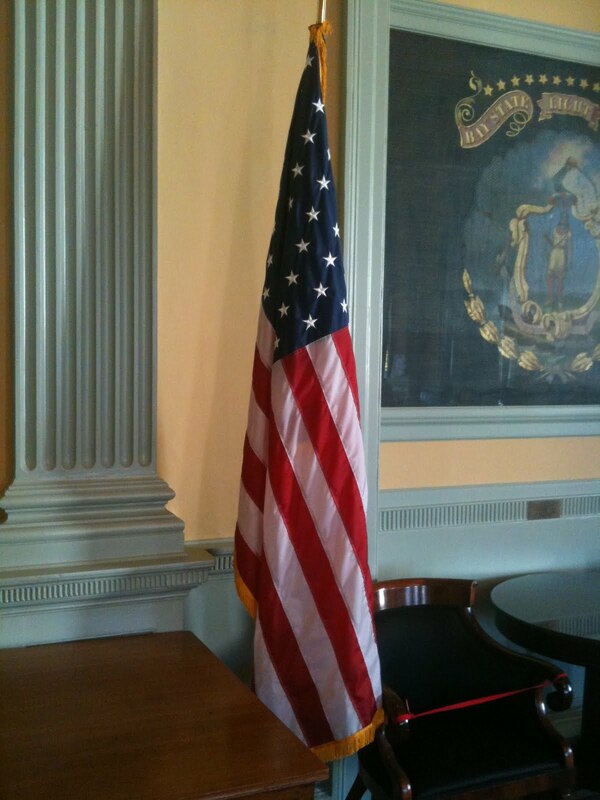 Please click http://www.law.cornell.edu/uscode/html/uscode36/usc_sec_36_00000144----000-.html# to read the text of the federal law pertaining to the United States flag, 36 U.S.C. 170-177. SeniorCare is a remarkable organization that serves seniors in Rockport, Gloucester, Manchester, Essex, Beverly, Wenham, Hamilton and Ipswich by providing them with effective and personalized services that sustain independent living and promote a high quality of life. Each year the organization’s annual breakfast brings the community together in a celebration of the spirits of independent living and neighbors helping neighbors. This year a highlight of the breakfast was the presentation of a community service award to Corey Grammas, who owns and operates Lobsta Land Restaurant in Gloucester. Corey comes from a family that has always been deeply involved and generous in supporting civic and charitable activities, and has hosted the annual breakfast on many occasions. I was pleased to attend and support the breakfast again this year. 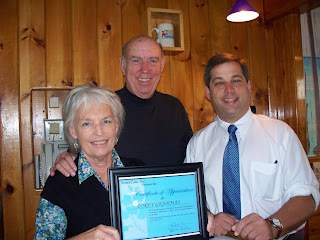 In the picture from the event below with me are Corey’s proud mother, Trudy Grammas, and Ron Graves. Katherine Craven, the Executive Director of the Massachusetts School Building Authority, will visit Gloucester tomorrow at the invitation of State Senate Assistant Minority Leader Bruce Tarr (R-Gloucester) and State Representative Ann-Margaret Ferrante (D-Gloucester). 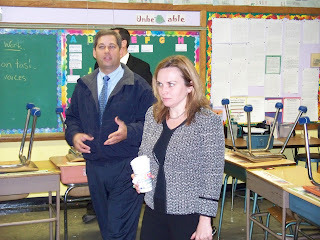 Tarr and Ferrante have been working with Craven, State Treasurer Tim Cahill, and local officials to secure funding for capital projects in the Gloucester Public School System. 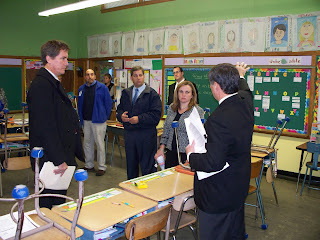 Tomorrow’s visit will include tours of the West Parish Elementary School and others, and discussions with the school committee and school department administrators. The visit will begin at 2 p.m. at the school department administrative offices, located at 6 School House Road. The visit is a significant step in the MSBA’s consideration of 5 Statements of Interest submitted recently by the school committee and the City of Gloucester. Tarr and Ferrante are hopeful that action on Gloucester’s applications occur as soon as the November meeting of the MSBA board. Yesterday the Senate debated and passed a supplemental budget intended to address the state’s ongoing fiscal crisis. 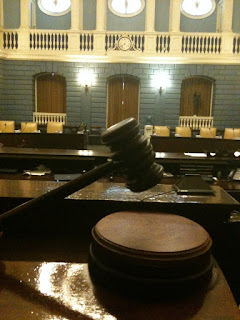 An important amendment to this budget was offered by Senator Robert Hedlund (R-Weymouth) to assist cities and towns in recapturing excess profits yielded by affordable housing projects constructed under Chapter 40B of the Massachusetts General Laws. Chapter 40B limits the profit to the developer of such projects in exchange for reduced zoning and permitting requirements. I was pleased to support this amendment, which would allow Inspector General Sullivan to establish a commission to recover these funds for cities and towns. Sullivan has done tremendous work in investigating this situation over the last few years, and the amendment would have given him the authority to take action based on his prior efforts. Unfortunately the amendment failed by a vote of 10 to 25, but we will continue working to address this issue. Please click “Read more” to view the vote on this issue. State Senate Assistance Minority Leader Bruce Tarr (R-Gloucester) and House Minority Whip Bradford Hill (R-Ipswich) said today that legislation they sponsored on behalf of the Town of Hamilton to establish the position of town manager has been passed by the legislature and signed into law by Governor Deval Patrick. A volunteer government study, chaired by volunteers Susan Wiltshire and Jack Lawrence, researched the town manager concept and developed the bill that is now law. The provisions of the bill were developed by the Government Study Committee and approved at Town Meeting last spring. Tarr and Hill pledged to work diligently to secure its passage at that time, and have honored that commitment. The states legislature's Joint Committee on the Judiciary will be hearing Senate Bill 1813, “An Act Requiring Landlord Notice of Unsafe Conditions” on Thursday, October 15th in State House Hearing Room A-1 at 1:00 pm. 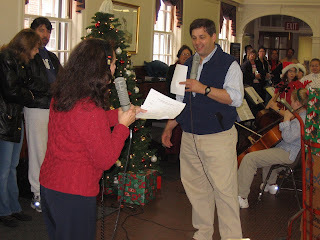 The legislation, sponsored by State Senate Assistant Minority Leader Bruce Tarr (R-Gloucester) and co-sponsored by Senator Susan Fargo (D-Lincoln), was filed in the wake of a tragic and fatal fire that destroyed the Lorraine Apartment building and a local synagogue in 2007 in Gloucester. The intent of the bill is to protect tenants living in buildings which may have undisclosed and serious building code violations. “Building Codes are in place to protect health and safety, and a tenant deserves to know when that protection isn’t in place,” said Tarr. The Senate bill would require a property owner to remedy a building code violation within 30 days of notification of its existence. Importantly, a property owner would be required to notify a prospective tenant of building code violations affecting health and safety prior to the signing of a lease, according to the provisions of the bill. In addition, the bill would prescribe notice of building code violations involving health and safety in writing to tenants who could be affected by the violations every thirty days by the property owner responsible for the building with such violations. Failure to comply with the provisions of the bill would trigger penalties currently contained in the state’s Sanitary and Building Codes. Joseph “Sarge” Komola served our nation with distinction in the United States Army and the United States Army Reserve for over 40 years, including deployments in Vietnam and the Middle East during Operation Desert Storm. In his civilian life, he has been a leading advocate for motorcycle and traffic safety. Over the past several years he has helped to organize and conduct major events such as Nelson’s Run, and has been a major force at the state House in securing positive changes for safety. Last Friday I had the honor of presenting Sarge with a Senate Citation recognizing his remarkable efforts to make the roadways we travel safer for all of us. Yesterday's hearing on the State's economic outlook produced some interesting written testimony, and today we're making some more of it available by clicking the document below. Today the Senate Committee on Ways and Means (of which I am a member), the House Committee on Ways and Means and the Secretary of Administration and Finance held a joint hearing to hear from some of the state’s top economists about a significant projected gap in the state budget for the current fiscal year and the outlook for next year. The general consensus from the experts seemed to be that the current shortfall will be approximately $600 million, although estimates did vary. In the near term this will almost certainly dictate budget cuts, probably in mid-October. More generally, however, it means the Governor and the legislature must redouble efforts to reform, streamline, find and capture savings, and create a better climate for economic growth and job creation. To read the agenda for the hearing which details those who testified and some of the written testimony submitted to the committee please click the document below. The bill will receive a public hearing on Thursday, October 8, before the Joint Committee on State Administration and Regulatory Oversight. Last Thursday night marked a significant first for the “First R” reading program in Gloucester and Rockport-the first steps were taken toward actually providing every student in a classroom to have a book read to it with a copy of that book. Through generous donors, the books have been purchased. They did need, however, to have stickers placed on them indicating that they were from the “First R” program. Importantly, the stickers also contain a line for the student to write their name to identify them as the owner of the book. What a great accomplishment for this program, which has been developed and sustained by Pat Earle. In order to place their stickers, Pat enlisted the assistance of Rick Doucette and the YMCA Team Leaders Club. I arranged for pizza and soda and we worked to get the job done. Soon students will be visited by guest readers and be receiving a new book to call their own. Below is a picture of the sticker placement team. 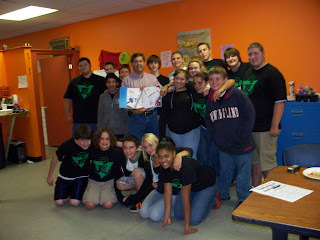 To read a Gloucester Daily Times article on the project, please click the following link http://www.gloucestertimes.com/archivesearch/local_story_276022147.html. 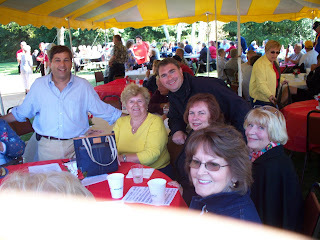 In Ipswich the Saint Lawrence Literary Society has successfully revived the annual Polish Picnic, restoring vitality to a great community tradition that celebrates Polish heritage with food, music and community spirit. 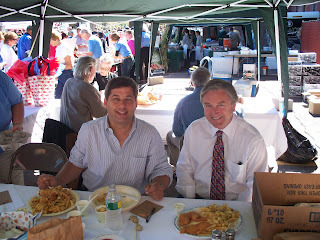 This year’s picnic was on Saturday, September 26th, and I was pleased to participate in the festivities along with Ipswich State Representative Brad Hill. Below is a photo from the picnic. Congratulations to the Ipswich Lions on the tremendous success of this year’s Chowderfest, which took place on Saturday, September 26th. 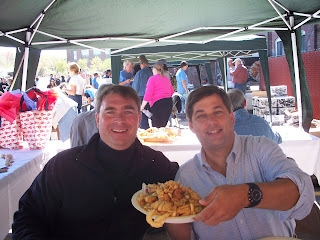 The event drew a huge crowd to the EBSCO parking lot along the Ipswich Riverwalk, where prefect weather combined with a spirited competition among chowder competitors, tremendous food offerings and strong community spirit. Funds raised by the event will benefit local charities such as scholarships, eye and diabetes research, eyeglass recycling and hearing aid projects. The event was sponsored by a host of local businesses including; the Institution for Savings, EBSCO Publishing, TD Banknorth, Mass Lions Eye Research, and the J&C Entertainment of Ipswich. I was pleased to perform guest judging duties along with fellow panelists Representative Brad Hill, Congressman John Tierney, WRKO Talk Show Host Todd Feinberg and others. A few photos of the judges hard at work are featured above and below this post. Tonight at approximately 9:00 p.m. I’ll be joining talk show radio host Dan Rea on WBZ News Radio 1030 AM. One of the topics to be discussed is the newly passed U.S. Senate Succession law. To call in to tonight’s show please dial 617-254-1030. With the summer construction season winding down, progress continues at the A. Piatt Andrew Bridge and a fall construction schedule will be implemented. To read MassHighway's progress update please "Read more" at the bottom of this post. Thank you for your continuing interest in this project, and please do not hesitate to contact us if we may be of any further assistance. Photo showing new sidewalk section along with new Minnesota bridge rail (on left). 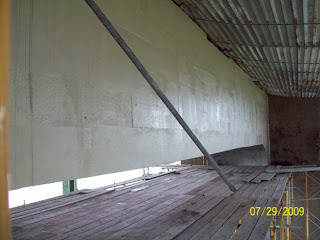 Photo showing epoxy coated rehabbed supporting cross beam at Pier #3. Current Project Status – The project is currently changing back to Stage II of the traffic management plan which has temporary concrete barrier installed along the right hand side of the northbound and southbound high speed lanes reducing traffic to one lane (inside lane) in each direction. This traffic setup will be in place during the fall months and will allow the Contractor to finish the new sidewalks, bridge rails and fence as well as place the new concrete deck in the right travel lanes. The Contractor has completed most of the masonry repairs/rehabilitation below the bridge. Structural steel repair is ongoing. The Contractor has also started cleaning the structural steel below the deck in preparation for new paint. The Contractor has been working various Saturdays and Sundays as well as extended hours during the week to remain within the approved schedule of operations. Tomorrow morning I’ll be once again analyzing political issues with former State Senator Warren Tolman on the Fox 25 Morning News Segment “Tolman and Gray”. Topics we’re likely to discuss are the Senate’s action on the U.S. Senate Succession bill and potential appointees, the Boston Mayor’s race and looming state budget cuts. Please join us on Fox 25 at approximately 7:15-7:20 a.m. Yesterday I appeared before the Board of Education to request that it reopen the case of the granting of a charter for a school in Gloucester in the wake of the releasing of an e-mail by Secretary of Education Paul Reville in which he explained political motives in the process. Should my request not be honored I will seek action by Inspector General Greg Sullivan. To read a news account of this situation from the Gloucester Daily Times, please click "Read more" at the bottom of this post. The U.S. Senate Interim Appointment bill (H. 4246) passed today by the Senate and earlier in the week by the House contains an emergency preamble which would cause it to take effect immediately (as opposed to the usual 90 days required before every bill takes effect). Article 48 of the Massachusetts Constitution provides that any bill containing an emergency preamble must be approved by a 2/3 vote of the House and the Senate. Since the vote in the Senate to pass the bill was 24-16 and the vote to pass the bill in the House was 95-58 the requirement of a 2/3 vote has not been met. Absent a change in the numbers of votes when the House and Senate take up the bill tomorrow, it will not be able to move forward with an emergency preamble. Should the bill be approved without an emergency preamble, it would take effect 90 days after the date of its passage. Media Alert: Morning Discussion on "Finneran's Forum"
Tomorrow morning at approximately 8:00 a.m. I'll be joining talk show host and former House Speaker Tom Finneran on WRKO 680 AM to discuss the troubling developments surrounding the granting of a charter for a school in Gloucester. 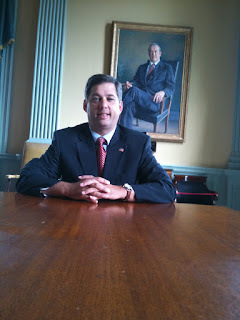 The first, offered by Senator Tisei, would delay the effective date of the change to the law until after the special election on January 20, 2010. This amendment would have cured a major problem with the current proposal, which changes the rules in the middle of the process to select Senator Kennedy’s successor. This amendment failed by a vote of 7 yes to 32 no. To view how members voted please click the “Read more” link and refer to the first spreadsheet at the end of this blog posting. The second amendment, offered by Senator Tisei, myself and others, would require that communications by the Governor involving the appointment of an interim senator be subject to the state’s public records laws. This provision, important to the transparency and accountability of the selection process, was rejected by a vote of 7 yes to 32 no. To view how the members voted on this matter, please click the “Read more” link and refer to the second spreadsheet at the end of this blog posting. Finally, without taking action to ensure that the bill wasn’t being used to manipulate the process to suit a particular political contingency, and without provisions to ensure transparency and accountability, the Senate approved the bill by a close vote of 24 yes to 16 no. To view the details of this vote please click the “Read more” link and refer to the third spreadsheet at the end of this blog posting. 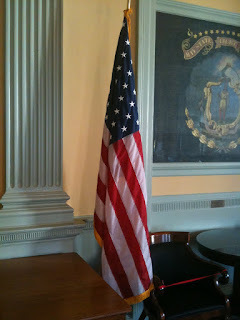 To read the text of the amendments and H. 4246, please click on this link http://www.mass.gov/legis/senate/calendar.htm. Once again today I was interviewed regarding the proposed legislation to change Massachusetts' election laws to provide the governor with the power to appoint an interim senator to fill a vacancy in the United States Senate. Segments will probably air on New England Cable News (NECN) and others, and radio stations NPR and WBUR this afternoon and evening. I'll be returning to the Fox 25 Morning News this Thursday morning at approximately 7:15-7:20 on the show's "Tolman and Gray" segment. I'm pleased to be standing in for political consultant and analyst Rob Gray. Please check in to Tarr Talk in the next few days for more detailed information on this appearance, and please tune in on September 24th.